As many of you know, we usually perform a crazy stunt out here at Fright Nights. This is where Pepper first set the mousetrap record, where I did my truck pull and where the roller coaster tattoo happened. 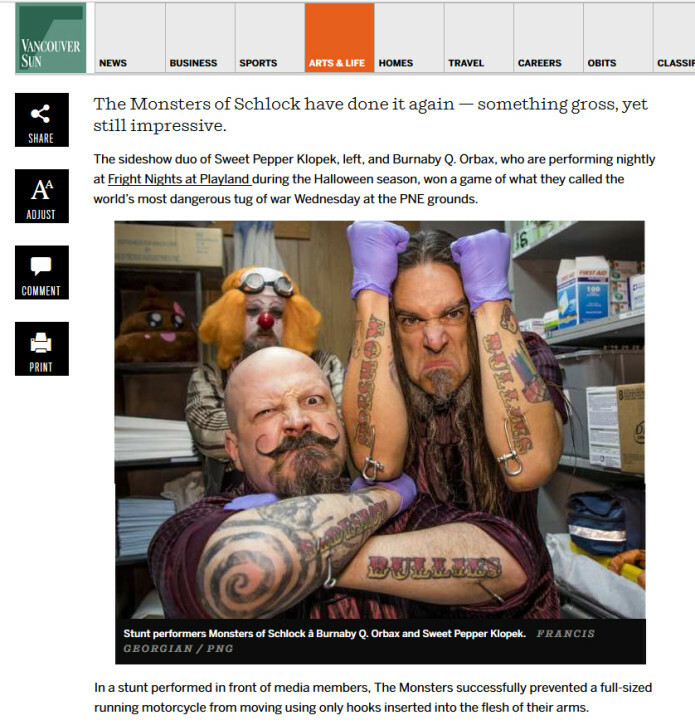 This year, we teamed up with Big Rob from the Lords of Gastown for the World's Most Dangerous Tug of War. Rob manned a full sized Harley while Pepper and I hooked up to it via flesh hooks in the forearms. As if that wasn't dumb enough, we erected a Wall of Death between us... 30 feet of propane fueled flame to really set the stakes. Shockingly it was successful and we actually walked away unharmed! 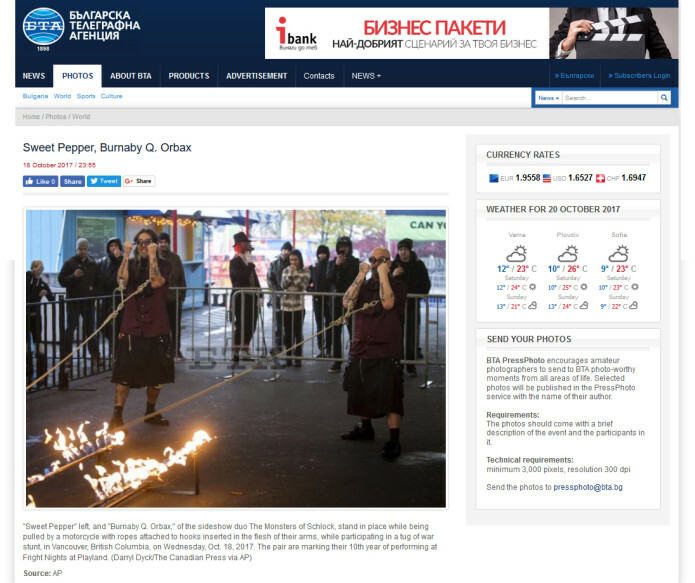 We even made it into the Bulgarian news! Don't worry! We filmed a bunch of it including the testing phase and it's FOR SURE going to be in your documentary! Don't forget, if you've been missing your weekly dose of Monsters we've started a new weekly YouTube series. It's just silly and fun interviews but you get to see us every week if you subscribe! We've got an extra scary one coming out Halloween but this week we interview our pal and emcee of Fright Nights for the past seven years, Singe the Clown!